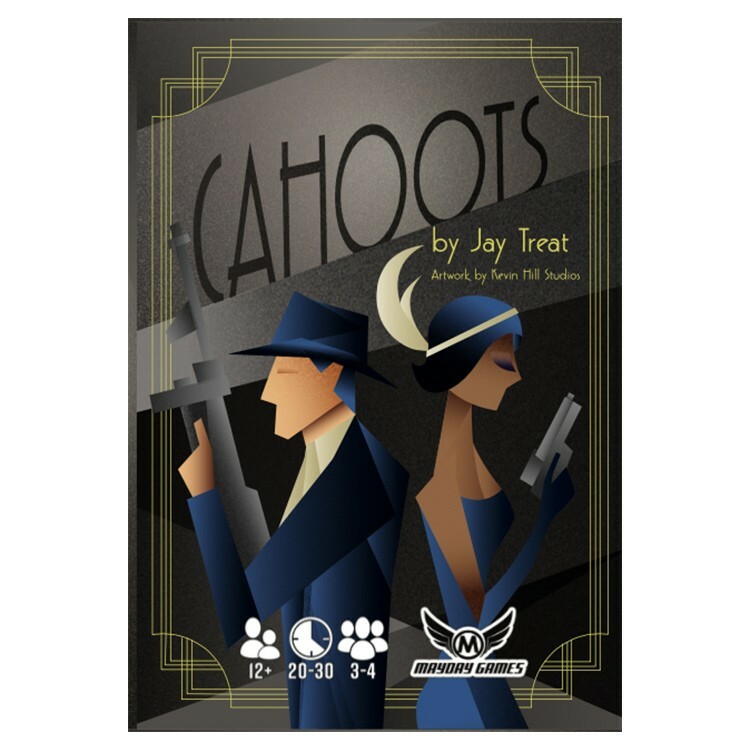 Welcome to the world of Cahoots, a trick-taking card game in which you are forced to conspire (be "in cahoots") with each of your opponents to win. Cooperate, negotiate, backstab, and bluff your way to a win in this world of noir and espionage. You can't trust anyone, but you've got to work together to score points because even though you win by yourself, you can't win alone!